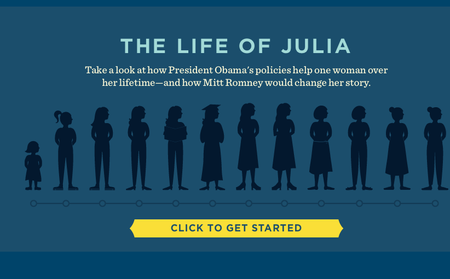 How Obama’s ‘Life of Julia’ Prevailed. at The Wall Street Journal from William McGurn. Remember Obama’s The Life of Julia? You can find her at the above link. Julia is the progressive’s ideal woman living from birth to death in Obama’s utopia. How did welfare dependency become the new feminist independence? We have 4 more yrs of this train wreck. They are the new feminist slaves. Keep them barefoot and pregnant.